Congatulations on the gratifying fix. In ON(II), does the radiator fan run when you jump/short the unplugged 2P connector for the fan switch located on the thermostat housing? Any overheating problem? Grateful to you Ron; Without your help, I not could have done this. In ON(II), Yes, the radiator fan runs when I jump/short the unplugged 2P connector for the fan switch. Fuse is Ok in the hood. No overheating problem; The needle stays below the half mark. I would do nothing unless you see the dash temp gauge rise above normal. 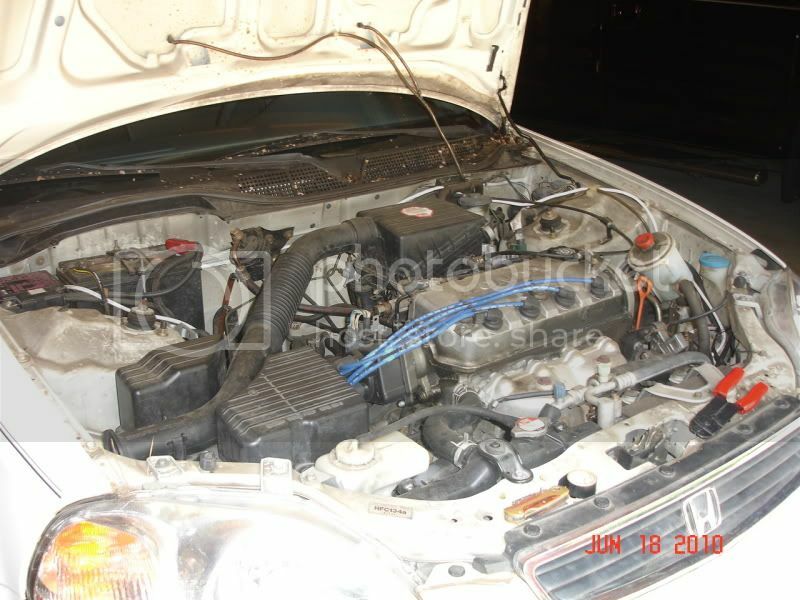 Civic engines tend to run cool so the fan only runs occasionally under normal circumstances. RonJ - just want to jump in here with a word from my recent experience. I was experiencing some symptoms of overheating (hesitation/bogging, steam from the radiator, etc) but the dash gauge never went above normal (just under half). Rad fan would NOT come on for anything (short of jumping the ETC). However once I properly bled the cooling system all was well. If it is properly bled I would suspect that the ETC switch has failed. Double check that you've properly bled the cooling system (ROnJ, please post the instructions from your manual). (ROnJ, please post the instructions from your manual). 1) Park the car on an inclined driveway with the front end higher than the rear. 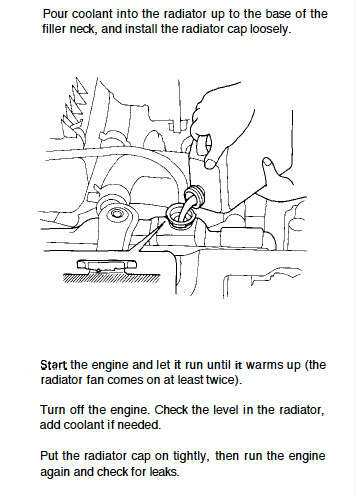 2) Push the dash heater lever/**** to MAX heat. I had the exact same problem and got the ac fixed thanks to this thread. Thank you kind sirs! Unplug switch and measure ohms between the pins on the switch, it should be a closed circuit. If it is open, check the pressure with gauges. Pressure on the high and low sides will be the same with the compressor not running. You should have the saturation pressure for your ambient temperature, about 100 psi in the summer time. If < 50 psi there is practically no refrigerant, and the switch opens to protect the compressor. Jumping the switch without knowing the pressure is a bad idea. If switch is closed but the voltage at the switch wires stays above ground and does not change when you press the A/C button, something is wrong with the control panel. Or the evaporator thermistor is bad and convincing the control panel the evaporator is cold when it is not. This is what fixed my problem. Although I knew there was sufficient pressure/freon in the system due to a recharge and service the year prior, I assumed there were no leaks and I took the gamble by not using gauges.